Welcome to the elo™ My Storytime Pillow giveaway, hosted by Housewife on a Mission, and sponsored by elo™! elo™ is the doctor-endorsed bedtime system that plays children’s stories and soothing sounds as your child lies down for bed. With elo™, kids ask, “Can I go to bed now”? elo™ was conceived by parents to help alleviate some of the common bedtime struggles. The child lays down on their elo™ pillow, and elo™ begins playing that night’s audio files of children’s stories and soothing sounds. The child is encouraged to lay still, listen quietly, and settle in for sleep. If the head is lifted, the audio pauses, and they are gently reminded to “Lay your head down to hear the rest of the story.” Children learn to remain restful, listen in, and eventually drift off to sleep (adapted from elopillow.com). 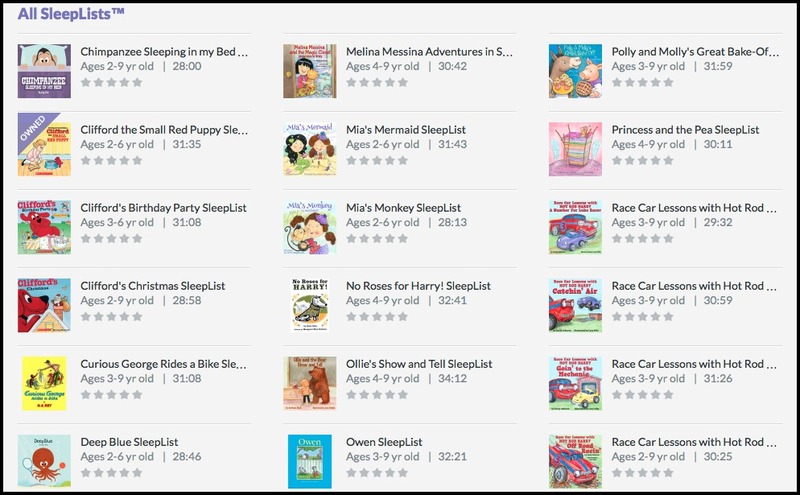 Is preloaded with your first SleepList™, containing several children’s stories followed by soothing sounds to help your child drift off to sleep. Comes in a standard child size, specifically designed for your child’s head. Connects to the elo™ Store, where you’ll have access to browse downloadable SleepLists™ featuring classic stories like Clifford, the Berenstain Bears, and Curious George! Housewife on a Mission had the opportunity to review this pillow. To read her full review, go here. Doesn't this look like a wonderful pillow? I know my daughter would love to have one of these! Connect: Stay connected with elo™ on Facebook, Twitter, Instagram and Pinterest. Buy it: You can purchase the elo pillow on elo's onine store for $149.00 Use the coupon code MISSION30 for $30 off your purchase! 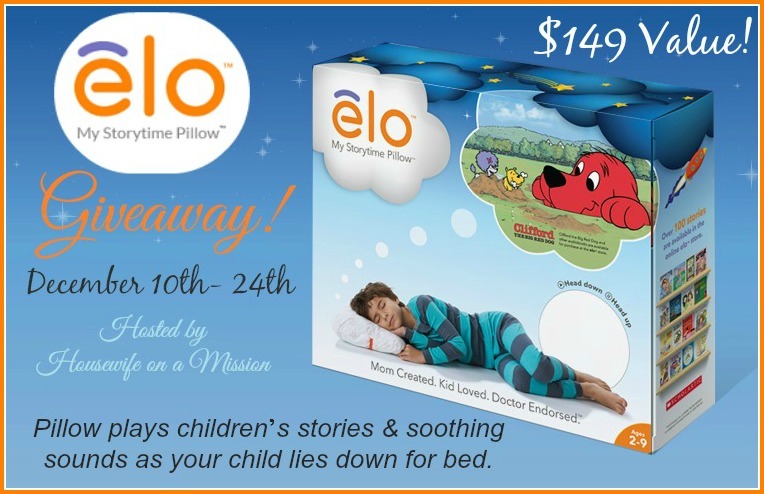 One lucky person is going to win an elo My Storytime Pillow! Open to US residents ages 18+ and ends on 12/24/14 at 11:59PM EST. I would love to win this for my son who always has a hard time falling asleep. He would love to hear Clifford through a pillow! Could this be the solution to my daughter's sleep problems? I would love to try this pillow with her. I need to get her going to sleep on her own.